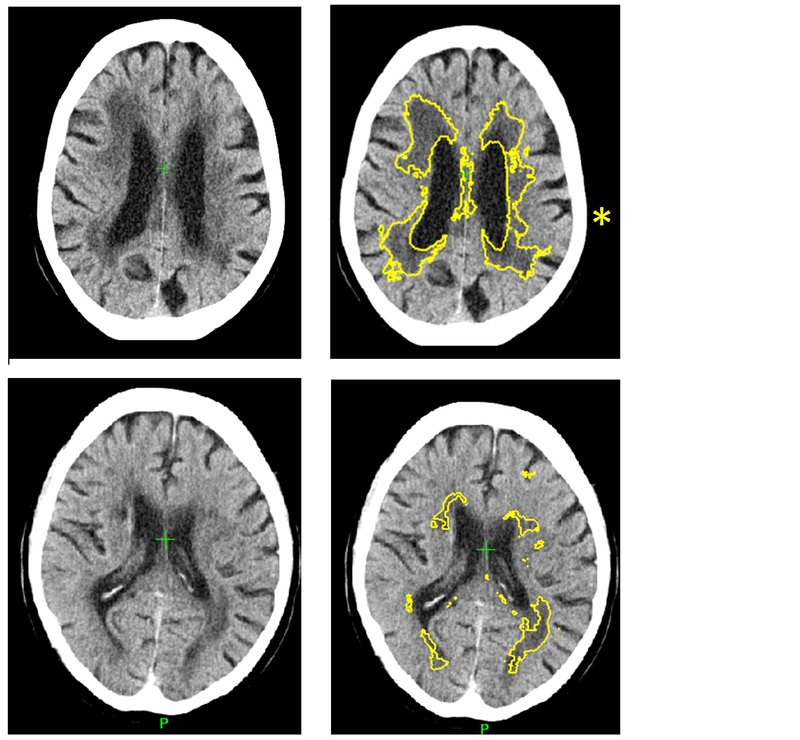 Machine learning has detected one of the commonest causes of dementia and stroke, in the most widely used form of brain scan (CT), more accurately than current methods. 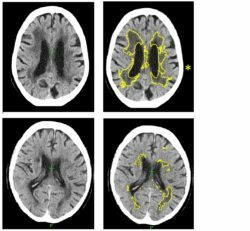 New software, created by scientists at Imperial College London and the University of Edinburgh, has been able to identify and measure the severity of small vessel disease, one of the commonest causes of stroke and dementia. The study, published in Radiology, took place at Charing Cross Hospital, part of Imperial College Healthcare NHS Trust. Researchers say that this technology can help clinicians to administer the best treatment to patients more quickly in emergency settings – and predict a person’s likelihood of developing dementia. The development may also pave the way for more personalised medicine. Small vessel disease (SVD) is a very common neurological disease in older people that reduces blood flow to the deep white matter connections of the brain, damaging and eventually killing the brain cells. It causes stroke and dementia as well as mood disturbance. SVD increases with age but is accelerated by hypertension and diabetes. At the moment, doctors diagnose SVD by looking for changes to white matter in the brain during MRI or CT scans. However, this relies on a doctor gauging from the scan how far the disease has spread. In CT scans it is often difficult to decide where the edges of the SVD are, making it difficult to estimate the severity of the disease, explains Dr Bentley. Although MRI can detect and measure SVD more sensitively it is not the most common method used due to scanner availability, and suitability for emergency or older patients. Dr Bentley explains that this software could help influence doctors decision-making in emergency neurological conditions and lead to more personalised medicine. For example, in stroke, treatments such as ‘clot busting medications’ can be quickly administered to unblock an artery. However, these treatments can be hazardous by causing bleeding, which becomes more likely as the amount of SVD increases. The software could be applied in future to estimate the likely risk of haemorrhage in patients and doctors can decide on a personal basis, along with other factors, whether to treat or not with clot busters. He also suggests that the software can help quantify the likelihood of patients developing dementia or immobility, due to slowly progressive SVD. This would alert doctors to potentially reversible causes such as high blood pressure or diabetes. The study used historical data of 1082 CT scans of stroke patients across 70 hospitals in the UK between 2000-2014, including cases from the Third International Stroke Trial. The software identified and measured a marker of SVD, and then gave a score indicating how severe the disease was ranging from mild to severe. The researchers then compared the results to a panel of expert doctors who estimated SVD severity from the same scans. The level of agreement of the software with the experts was as good as agreements between one expert with another. Additionally, in 60 cases they obtained MRI and CT in the same subjects, and used the MRI to estimate the exact amount of SVD. This showed that the software is 85 per cent accurate at predicting how severe SVD is. The study was funded by a National Institute for Health Research i4i Invention for Innovation award, and a National Institute for Health Research Imperial Biomedical Research Centre grant (NIHR BRC).